It is the show that set the ball rolling for so many different threads of weirdness that came after, and yet none of Twin Peaks’ successors ever hit quite the same beats that Lynch and co were able to manage. It is one of those shows with the kind of visual and sonic palette that is always slightly off-kilter and capable of presenting a real sense of unease. The great thing about David Lynch is sometimes it is almost like you are never going to get a pay-off and he is just going to keep ratcheting up the tension until it gets unbearable, and you want to exit the room. There were rumors at one point that the revival might go ahead without him, and that would have just been horrible … how could you possibly follow after Lynch and produce anything that wasn’t just Lynch-lite? Agent Cooper is back, as are some old familiar faces, but things have changed – things have moved on. It’s great that when we meet different people that we haven’t seen in years that they have aged, and that it is in the same way we all age – at different rates and in different ways. I haven’t seen too many of the actors in other things, so for me at least this creates the feeling that we are just looking back in on that strange little town. It feels like it didn’t miss a beat. For a certain generation there are certain parts of the show that are iconic, and you wouldn’t really need much context on display to see that it was a reference to Twin Peaks. 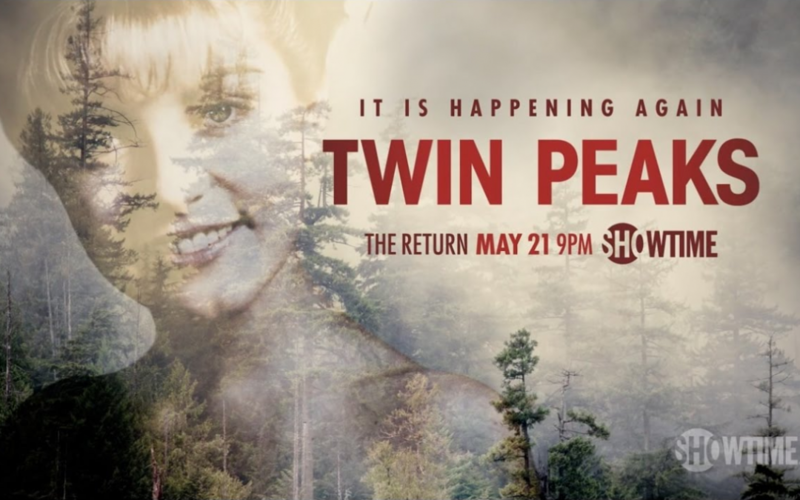 That image of Laura Palmer, the trees, and the Angelo Badliamenti soundtrack prime you for Cooper in the Black Lodge, prime you for any weirdness that might come. But even then there are some new touches – some new twists and turns in the intriguing mythology Lynch has constructed. There are parts that remind of Mulholland Drive; parts that remind of Eraserhead. Show a few of these things and what else do you need to do to advertise this show? Not much. Lynch is a director who you got to expecting certain things – he’s played off this before with things like Straight Story, but generally you are going to be get that discomforting fusion of small town America, crime drama, and surrealistic nightmare that he does better than anyone else. It will be interesting to see if this show heralds a slew of darker weirder shows on the networks. We’re only a few episodes in so we haven’t yet seen the whole creation, but there is a big desire for Lynch to knock it out of the park. After Twin Peaks: Fire Walk With Me, which was not a very popular film, people want this to be the ending, or the continuation that they have been waiting for. If the quality of the show continues in the vein these first few episodes have managed then that promise could very well be delivered on. It’s funny, in the years since it left our screens you would think that the tropes would have been absorbed into the culture, and that over-familiarity would have taken some of the sheen off it, and lessened the emotional investment in the show, and this could just be me, but that doesn’t seem to have happened here. People are as ready for good new Twin Peaks as they were for new Star Wars. Will we get closure? Maybe. Nothing is guaranteed with David Lynch, and that uncertainty is the greatest asset for both him and this show.